These chicken dinners are not only affordable; they’re unbelievably delicious. In fact they’re packed with so much good flavor, it’s almost hard to believe they don’t cost a ton of money to make. The key to making gourmet meals without breaking the bank is to use budget-friendly ingredients like frozen vegetables, canned soups, leftover rotisserie chicken and refrigerated dough. With smart ingredients like these, you can create any number of easy and satisfying meals. Another useful trick is to make the most of your slow cooker and one-pot recipes. 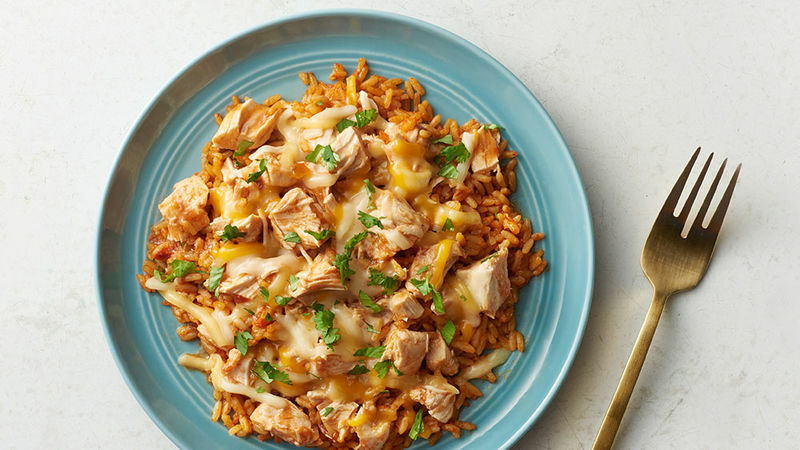 Not only do they help save on time, but they’re great for turning those low-cost ingredients into mouthwatering meals that are perfect for busy weeknight dinners. So proudly pinch those pennies because these chicken dinners are affordable, delicious and absolute winners!